When your convenience store’s coffee machine is out of service, you lose out on a lot more than revenue. Your stores are likely known for a lot of things, especially dependability, locality, and convenience. And, keeping your coffee machines in working order is an important way to let your consumers know they can rely on your convenience store. The tricky thing is, not all service agreements are created equal. Some providers don’t provide maintenance assistance on nights or weekends, and some providers make service agreements with businesses with distant locations, making unplanned service visits difficult to schedule in a timely manner. At Bernick’s, we pride ourselves on providing fantastic service across all lines of business. 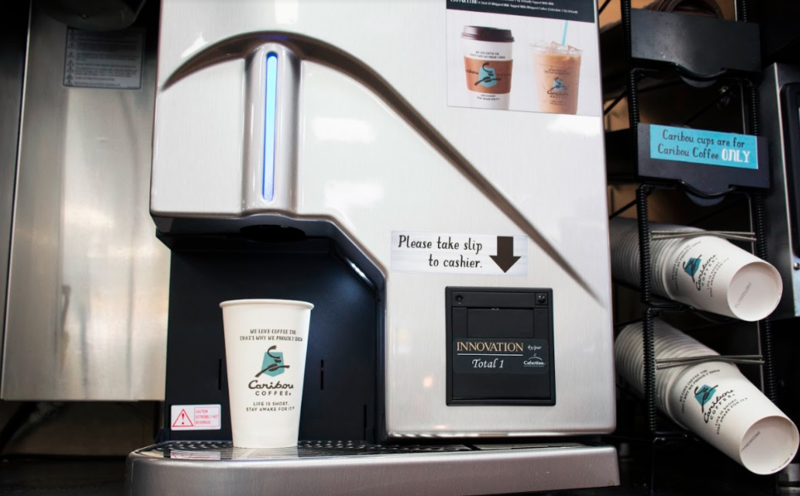 We treat our coffee equipment with the same level of service as we treat any of our fountain or vending machines. Our customers have a single, toll-free number to call for service and maintenance needs. Customers can call anytime, 24/7 for any of our Bernick’s equipment. One of the biggest service differences our customers make note of is our response time. We have a response time goal of four hours. This means that within four hours of your call, we want to have a Bernick’s service technician at your location to address the issue. We maintain this service standard by defining our service area to only where we can reach in that period of time. In the unlikely event that we’re unable to respond within the four-hour window, one of our service technicians will give a courtesy call letting you know your call was received and when you can expect service. Generally speaking, Bernick’s provides almost all coffee equipment and any maintenance, repairs, and replacements free of charge for customers who purchase their coffee products from us. However, even those who don’t use Bernick’s as their supplier can still have their equipment serviced by us. For example, a customer who receives their coffee supply elsewhere but operates within our service area is eligible for a maintenance agreement. Maintenance agreements for coffee machine service are customizable to the individual needs of our customers. There are options for quarterly preventative maintenance on machines, as well as opportunities to specify how labor and parts will be charged. Customers can also decide whether they’ll be billed monthly or annually. We’re committed to providing coffee machine service tailored to the needs of each customer. Even if you don’t go through Bernick’s to supply your c-store’s coffee products, you can still benefit from our service standards. For those within the Bernick’s service area, know that excellent coffee machine service is possible.